Losing a loved one is one of the hardest parts of life. Whether it is someone we know personally or you want to extend your love to someone who has lost a loved one, sending sympathy flowers or a funeral flower arrangement can let someone know that you are thinking of them in this darkest of hours. 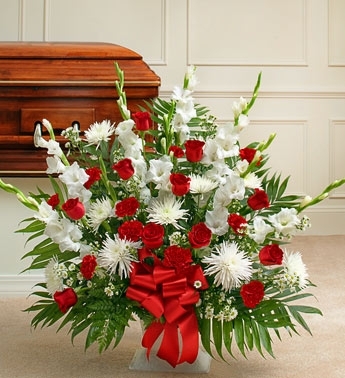 We have a wide range of floral arrangements that you can share with loved ones or for use at a funeral or gravesite as well as for a casket that shows your sympathy and love. 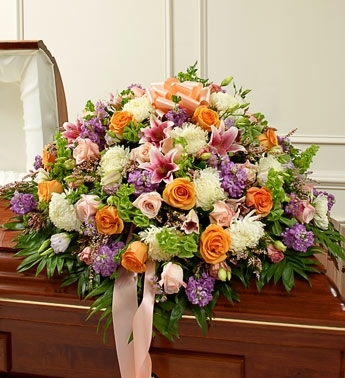 In Atlanta, we have worked with all the Atlanta funeral homes and Atlanta cemeteries as well as many of the Atlanta churches and houses of worship, so we can deliver flowers for a funeral or memorial ceremony. 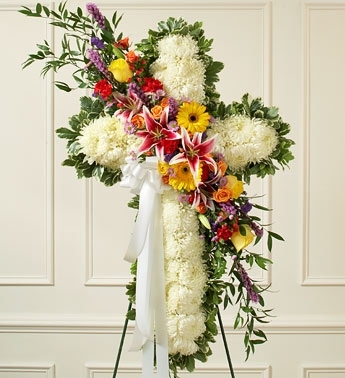 We offer casket flowers, spray flowers, wreaths, funeral baskets, standing crosses and more for your funeral needs. Whether it is a military funeral or a funeral for a family member or friend, you can have flowers in any variety or color to add beauty and cheer even to the saddest of events. You can choose from our selection of funeral flowers or you can request something customized thanks to our amazing floral design team. There may be times where funeral flowers are not requested or it is preferred that they not be sent to a funeral or memorial. That doesn’t mean you can’t send a personal message of love and sympathy to someone who has lost a friend or family member. Our sympathy flower arrangements can be sent to a home or office to let someone know you are thinking about them. 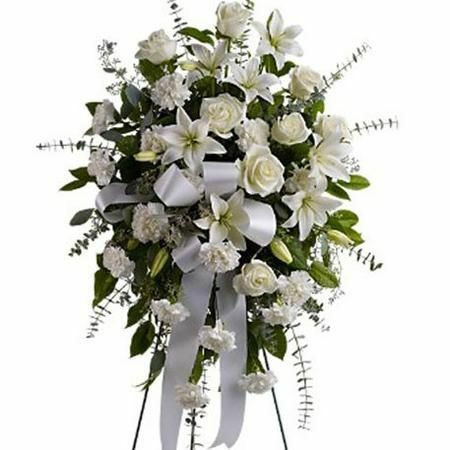 We also offer sympathy plants and sympathy gift baskets that, depending on the situation, can be appropriate for the situation. The important thing about whatever you choose to do is that you share your expression of love and sympathy so that those who may feel alone or are grieving know that you care without you having to impose on them. Sometimes, phone calls or visits are difficult for someone who is grieving, so this is a non-intrusive way to let them know you are thinking of them. We deliver all over Atlanta and the Atlanta area as well as across the country for funerals and sympathy gifts to the home.